Now that OSX 10.11 El Capitan is released and everyone is eagerly updating, in cooperation with the colleagues from the Japanese TeX world we have released new versions of the jfontmaps and cjk-gs-integrate packages. 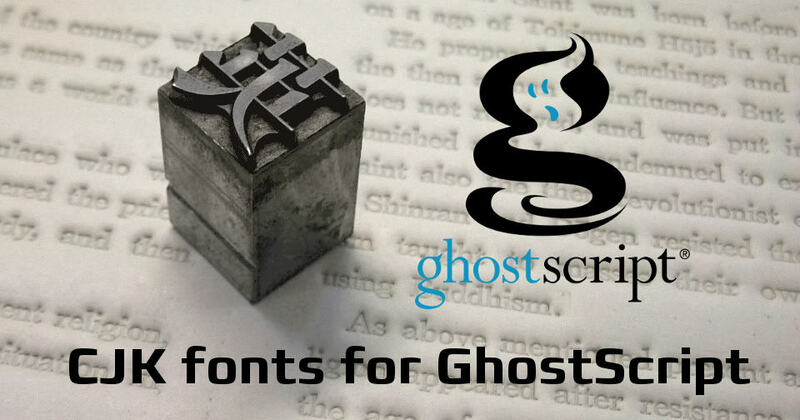 With these two packages in TeX Live, El Capitan users can take advantage of the newly available fonts in the Japanese TeX engines ((u)ptex et al), and directly in Ghostscript. For jfontmaps the changes were minimal, Yusuke Terada fixed a mismatch in ttc index numbers for some fonts. Without this fix, Hiragino Interface is used instead of HiraginoSans-W3 and -W6. For more explanations concerning how to run cjk-gs-integrate, please see the dedicated page: CJK fonts and Ghostscript integration. For feedback and bug reports, please use the github project pages: jfontmaps, cjk-gs-support. Both packages should arrive in your local TeX Live CTAN repository within a day or two. We hope that with this users of El Capitan can use their fonts to the full extend.